(File pix) Taking hired rides to commute has allowed the writer to meet and talk to people from all walks of life. ONCE you have established your social circle in a host country, you rarely venture out to meet other people, with different views, priorities and concerns than those commonly discussed within your own little bubble. As comfortable and comforting as this might be, it’s also quite restricting. So, what is one to do to broaden one’s horizon? One easy option is to leave one’s car behind and hitch a few Grab rides. I have done just that, these last few days, albeit not out of some lofty moral reasoning. My car had broken down. Taking hired rides to commute to and from my usual destinations has awarded me the opportunity to talk to people from all walks of life. Sitting in the back of a friendly stranger’s car, I had time to touch on some issues, which would not have come up during a short exchange at the supermarket, the petrol station or the bank. The daily downpour and the traffic jam that inevitably would ensue, offered me as well as my counterpart the rare luxury of a conversation not restricted by time concerns. We had nowhere else to be. Every single ride so far has started with the same question: where are you from? An easy and non-committal icebreaker of course. But not all conversations went down the same lane from there. One driver, I happened to book him twice by coincidence, did not engage in any conversation past this opening exchange. Instead, he had a music playlist tailored to each nationality that would venture into his cab. I was treated to some German-sung (or should I say screamed) death-metal-grunge-neo-punk genre; twice. Not my usual musical style, and most certainly not his either, but I did appreciate the effort. If he was definitely the odd one out, every other driver eventually started talking about Malaysia’s new government. After having taken a short detour by way of discussing the weather, the traffic and my reasons for being here, of course. Some liked it better before; others shared a very positive outlook about the country’s new leadership. Their reasons, however, couldn’t have been more different from one another. I am a guest in this country. I might have my views and opinions, but it is certainly not my place to comment on them here. What I do want to share about this experience, however, is this: I have used Grab, Uber and taxi services before, my car does break down quite regularly. But never before have I seen this level of interest, engagement and outspoken awareness by Malaysians across the board. Whether my conversation partners were elated or concerned, eager or impatient, they all felt integrated in a discourse that they feel is for them and about them. Coming from a country with deep-rooted, historically democratic values, I am exalted to see this newfound sense of ownership among my hosts. An open discourse, a keen interest in change regardless of which way the said change should be headed, a sense of empowerment by many who have not bothered to be part of a solution before, are what will enable Malaysia to progress towards the bright future it deserves. A country is not as strong as its government; a country is as strong as its citizens willing to engage in a constructive dialogue, of that I’m sure. 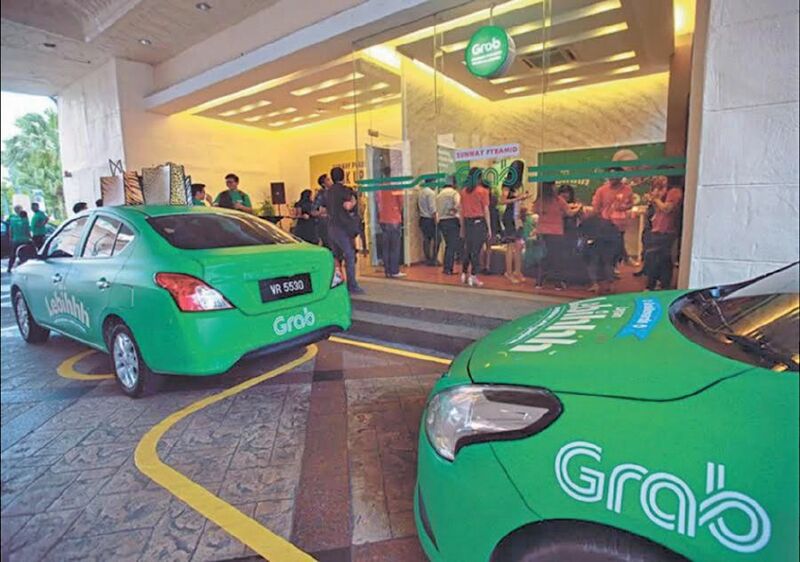 Another thing I’m sure of is that I will be hitching more Grab rides in the future. For the sake of interesting conversations and more insight into issues that might very well burst my little expatriate bubble.